Is it Anzac or ANZAC? Is it "Anzac" or all-capitals "ANZAC"? Is it "Anzac" using lower-case letters or entirely upper-case "ANZAC"? In short, use Anzac, not ANZAC - unless you are specifically referring to the Australian and New Zealand Army Corps as an army formation, ie to the corps itself, in which case use ANZAC. 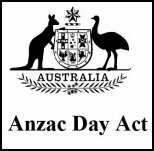 Australian government legislation refers to "Anzac Day", not "ANZAC Day" - see extract or full Act [pdf]. However, the legislation in three states (WA, SA and Vic.) uses "ANZAC Day". The regulations protecting the word 'Anzac' avoid using the uppercase term 'ANZAC'. See the regulations [pdf]. In New Zealand the day was gazetted in 1916 as "Anzac Day". New Zealand legislation uses "Anzac Day". "Anzac" is historically the correct way to write expressions such as "the Anzacs", "an Anzac", "at Anzac", "to Anzac", "the Anzac sector", "Anzac Cove", "the spirit of Anzac". That is how the soldiers and those reporting about them in 1915 and 1916 generally wrote the expressions. During 1915 the original upper-case acronym "ANZAC" was very soon made into into the upper- and lower-case "Anzac". In Use of the word Anzac on the DVA's Anzac Centenary website, the point is made that General Birdwood requested that the area held by the ANZAC troops be given the place name 'Anzac'. This word containing lower-case letters was soon applied to the soldiers themselves (as 'Anzacs'), as pointed out on the DVA's web page Protecting the word Anzac. Thus, although the expression "A.&N.Z.A.C." led to the upper-case "ANZAC" becoming the original acronym, the word "Anzac" with only an upper-case "A" was what was actually used for people (ie, the Anzacs, an Anzac) and locations (eg, Anzac Cove) at Gallipoli at that time. Upper-case ANZAC should be used where the Australian and New Zealand Army Corps as an army formation or battle grouping is being referred to, as in "the landing of the ANZAC", "the ANZAC landing", "the ANZAC forces" or, if the writer has the corps in mind rather than the soldiers themselves, "the landing of the ANZAC troops". The day of the first Anzac Day commemoration, 25 April 1916, was called "Anzac" Day in honour of the soldiers (the "Anzacs") who had died. It was not "ANZAC" Day, because at that time an upper-case "ANZAC" Day would have primarily honoured the corps itself rather then the soldiers. The acronym "Anzac" with "A" the only capital letter was well-established by then. The soldiers themselves were using "Anzac" as a word by the time the first Anzac Day was held. They would have regarded the mates who had died as "Anzacs", not as "ANZACs". Users of "ANZAC" instead of "Anzac"
However, today there are many people who feel more comfortable using the upper-case ANZAC for all or some of the expressions, including the use of "ANZAC Day" instead of "Anzac Day". Some people feel very strongly about this, possibly using upper case as a means of showing respect for the soldiers, or to respect the origin of the word "Anzac" itself, or simply to ensure we never forget the individual words that "ANZAC" stands for. As well, in order to achieve the appearance of consistency in their published material, some people try to avoid using "Anzac" and largely restrict their use to only the upper-case ANZAC. 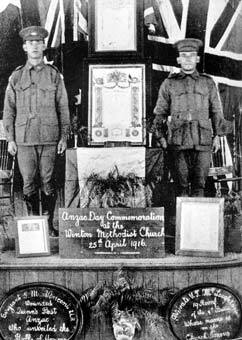 - the ANZAC Day Commemoration Committee of Queensland (anzacday.org.au). As you are likely to access at least some of the extensive material available on their websites you need to be aware that they have chosen to prefer "ANZAC" over "Anzac". A third oprganisation, the Australian War Memorial, used to prefer ANZAC to Anzac but now appears to have largely reverted to a preference for "Anzac". In recent years, when the parliaments of three State governments changed their laws about Anzac Day they specified the use of "ANZAC" instead of "Anzac". 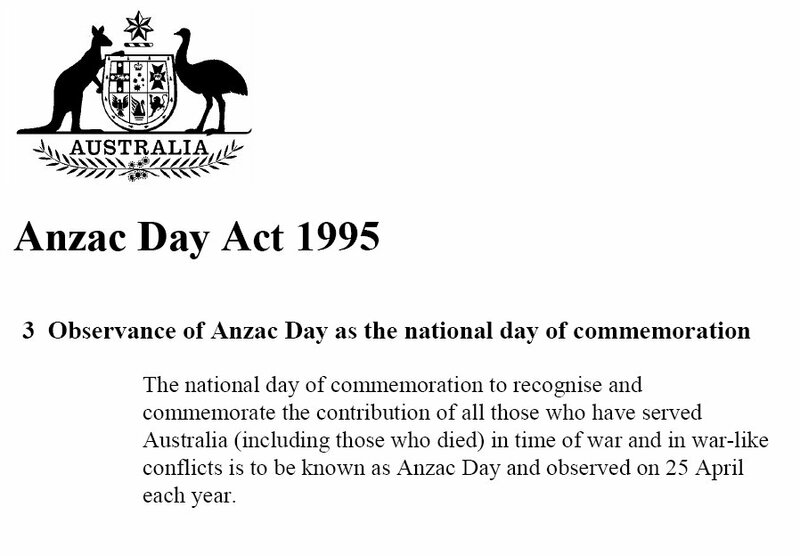 However, Australian government legislation refers to the day as "Anzac Day", not "ANZAC Day". It is common for the upper-case ANZAC to be used in teaching primary school students about Anzac Day and the Anzacs because this is an effective way to help young students learn the words the letters stand for. However, in later years many students miss out on a more detailed study of the Gallipoli campaign that would allow them to learn the historically correct way of writing the expressions. Thus, a large proportion of Australians would have been taught at school to write "ANZAC Day" instead of "Anzac Day". Adding to the confusion, the publishers of many books on the Anzac soldiers and Anzac Day have used upper case for the whole of their titles, perhaps to avoid the issue of distinguishing between Anzac and ANZAC. Some organisations and people have made up their own rules; for example, some write "Anzac Day" using lower case but "the ANZACs" with upper case, while others write "ANZAC Day" with upper case but "the Anzacs" with lower case. And there is much published material in which the same author uses Anzac and ANZAC interchangeably for the same expression, suggesting that many people feel that it is not essential to adhere strictly to the rules, or are unaware of any rules or are having an each-way bet. If you are referring to a publication whose title uses ANZAC or Anzac, then quote the title exactly the same way as it is written on the title page of the publication. (And ignore the way the designer has presented it on the cover.) Similarly, if you quote someone's published words containing Anzac or ANZAC, quote the words the way they have been published, even if you believe they have not been used in the historically correct way. If you are a student writing an essay and you are concerned about an appearance of inconsistency resulting from some of your words and quotes using Anzac while others use ANZAC, then it might be worth providing a footnote or making a statement at the beginning or end of your essay to explain the mixture. You could also use paraphrasing or partial quotes to avoid using the word within a quote when the author has used it incorrectly. It might be advisable to seek your teacher's view on the use of Anzac and ANZAC, particularly if you are writing an essay for an audience that includes people who prefer to use ANZAC over Anzac. For students of history, your main purpose in writing will normally be to demonstrate your understanding of history, making the historically accurate word "Anzac" the appropriate word to use when referring to Anzac Day, the soldiers and the locations at Gallipoli, and upper-case ANZAC the appropriate term only for the army formation itself. However, you need to be aware that there is much uncertainty in the community over the use of Anzac and ANZAC, and also that a general use of the upper-case ANZAC is preferred by many people with a different main goal in writing, such as ensuring the origin of the term is never forgotten. - Use of the word Anzac (Department of Veterans' Affairs). - Protecting the word Anzac (Department of Veterans' Affairs) - scroll down to the paragraph headed "Background of the word 'Anzac'"
- The relevance of Anzac (Parliamentary Library) - scroll down to "Is it Anzac Day or ANZAC Day?" (If the web page is unavailable, try the archived pdf file: Anzac Day Kit [pdf, 3.9MB]). - Frequently Asked Questions (anzacs.org). - "ANZAC or Anzac?" 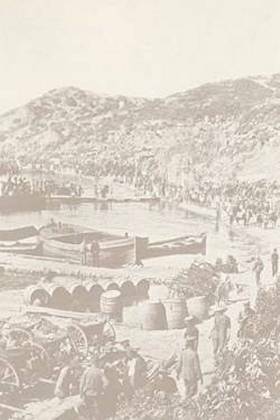 in Gallipoli and the Anzacs - Unit 3 The landings at Gallipoli 25 April 1915 [pdf], page 33 (Department of Veterans' Affairs). - Anzac Day Media Style Guide 2016 [pdf file]. By Sharon Mascall-Dare. See "Anzac/ANZAC" (page 10) and "Anzac Day or ANZAC Day?" (page 11). Notice in the Governor-General's 2015 Anzac Day commemorative address Sir Peter Cosgrove correctly uses lower case for Anzac Day, Anzac Avenue, the Anzacs, spirit of Anzac and first Anzacs, and correctly uses upper case in "aboard the ANZAC troop ships sitting off the Gallipoli Peninsulacoast of Gallipoli".